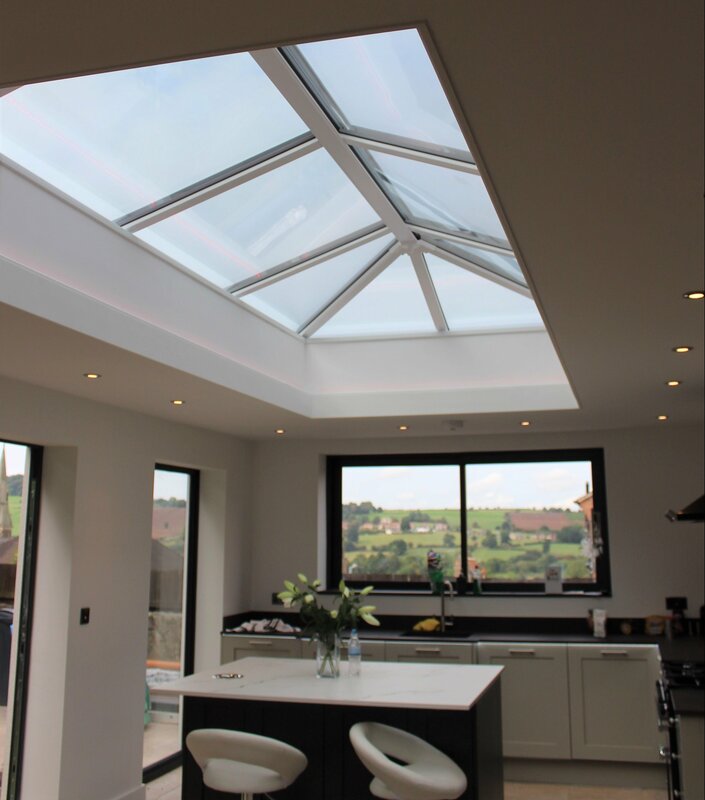 Skypod rooflights are fitted on top of flat roofs to allow the sunlight to shine directly down, making for a lighter, brighter home. As they’re in the same position of sun in the sky, you get directional daylight and unlike vertical windows there’s less likely to be objects such as trees, walls or fences in the way. This gives you 365 days of daylight, no matter what the weather is outside. This means that you’re able to make the best use of your living space all year round, as it will be transformed into a lighter and fresher place that you’ll want to spend time in. 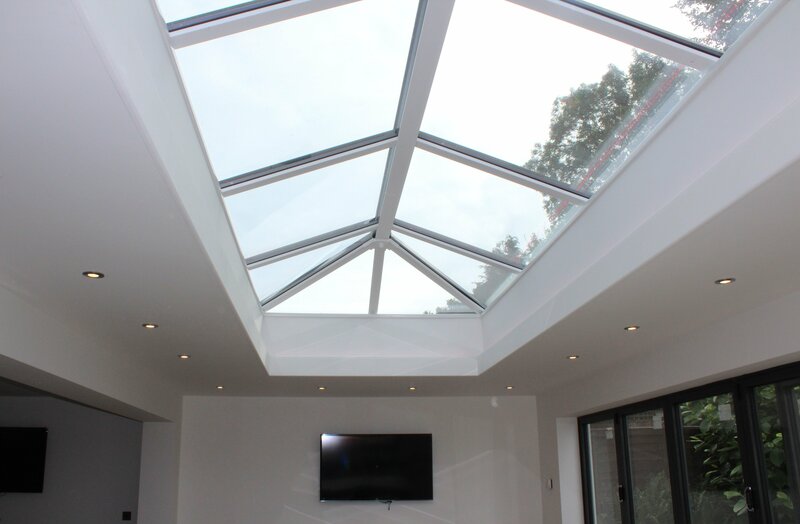 Rooflights from Trade Windows come with super slim frames to make sure you’re getting as much daylight flooding through as possible. 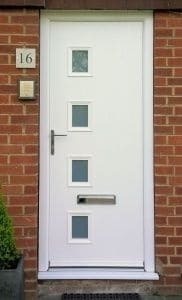 There are are several styles available, with the smallest at 750mm by 750mm to the largest at 2750mm by 8700mm. 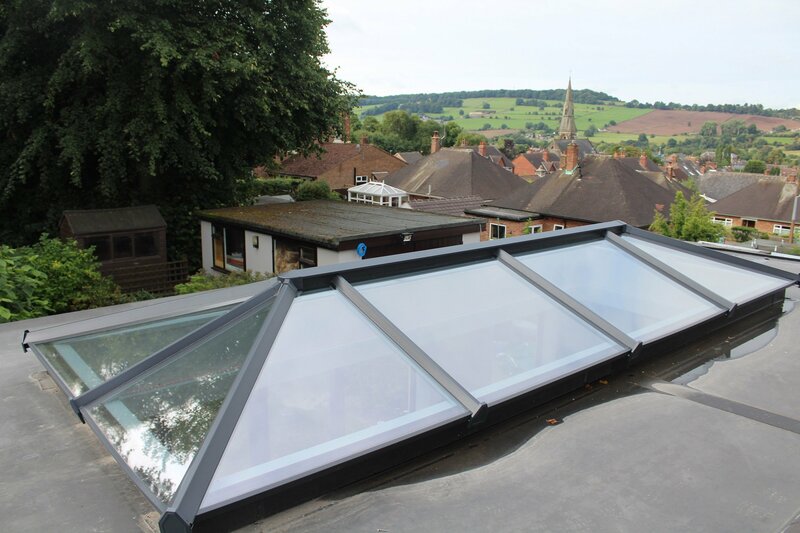 Choosing a rooflight in Derby means you’re making the most of natural light instead of artificial light. Not only does artificial light work against your circadian rhythm, disrupting your natural body clock and sleep routine, it also contributes to dry skin. Natural light, on the other hand, works with your circadian rhythm to improve your sleeping pattern, and helps to encourage growth, strengthen the immune system, regulate moods, lower blood pressure, improve digestion, and helps with alertness. As the presence of natural daylight means there’s no need to keep your lights on in your room, you can benefit from lowered energy and electricity bills too, saving you money. It also gives you a much more appealing ambience too. 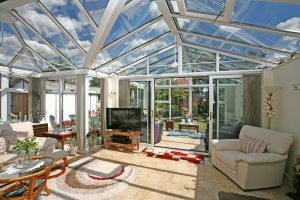 The clever rooflights can also help to regulate the warmth of your living space too. 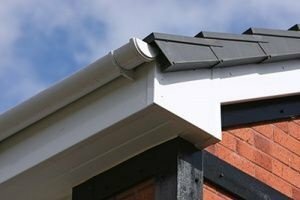 Fitting a Skypod in your Derby home can also help to keep your home warm, as they’re available with U-Values as low as 1.0W/m2K for optimum energy efficiency. 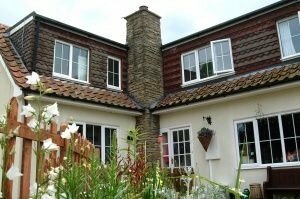 PVCu capping also helps to insulate your living space, helping to save money on heating bills. 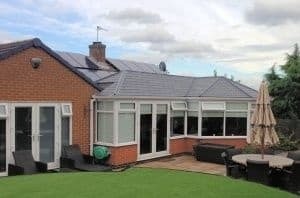 The large glass areas in our rooflights also means that the natural warmth of the sun will penetrate through during the colder months, and there’s even the choice to upgrade to solar controlled Pilkington Activ™ glass. 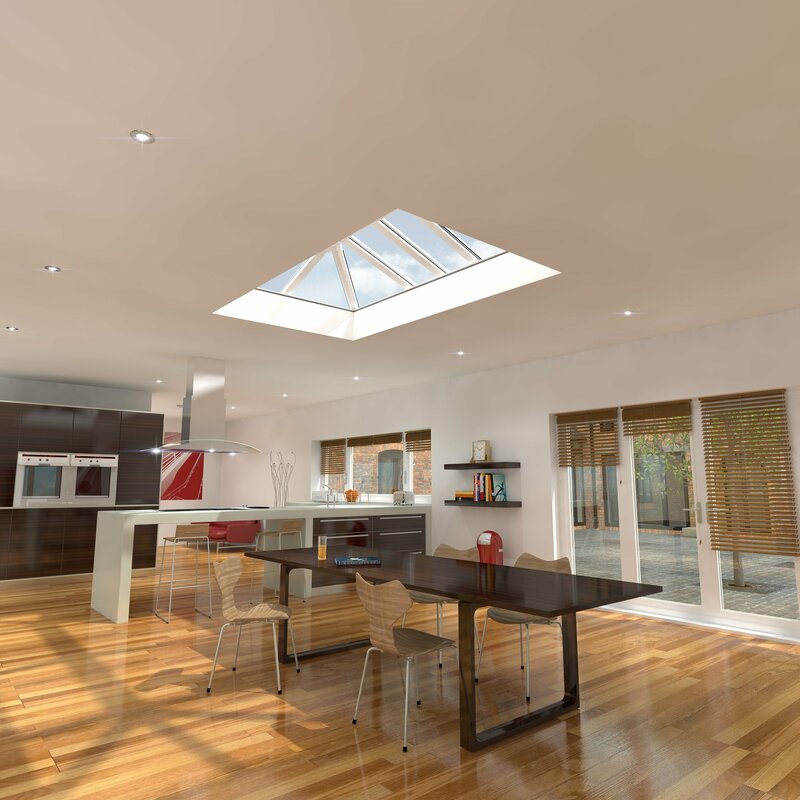 At our inspiring London Road showroom, you can find our kitchen extension that’s fitted with our stunning rooflights. You can get a real feel for how much light they add to living spaces, as well as the beautiful style and open space they offer. To complete the look, our kitchen extension is also fitted with aluminium bi-fold doors. 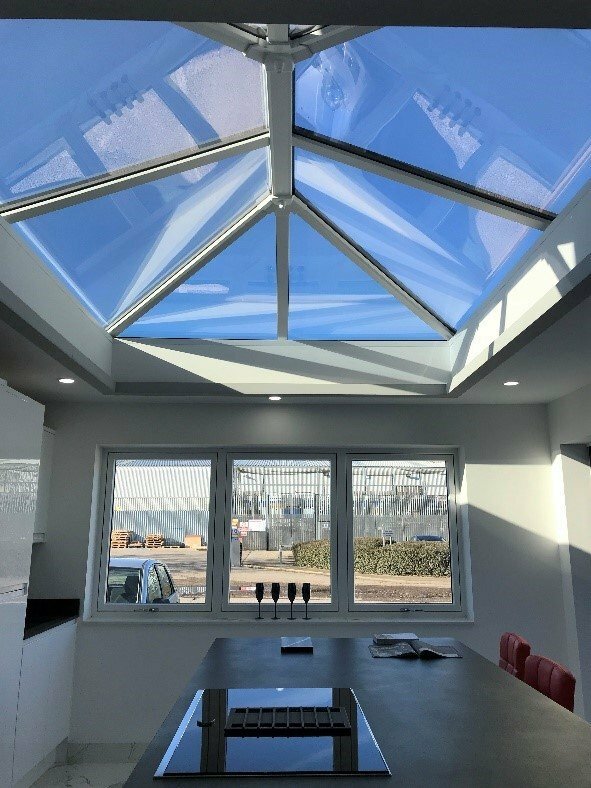 You can visit us from Monday – Friday 10am-6pm, Saturday 10am-3pm and Sunday 10am-2pm to find out more about our rooflights in Derby from our expert team. Alternatively, you can call us on 01332 755551. Don’t forget to take a look at our Instagram and Facebook page for our latest transformation pictures too!